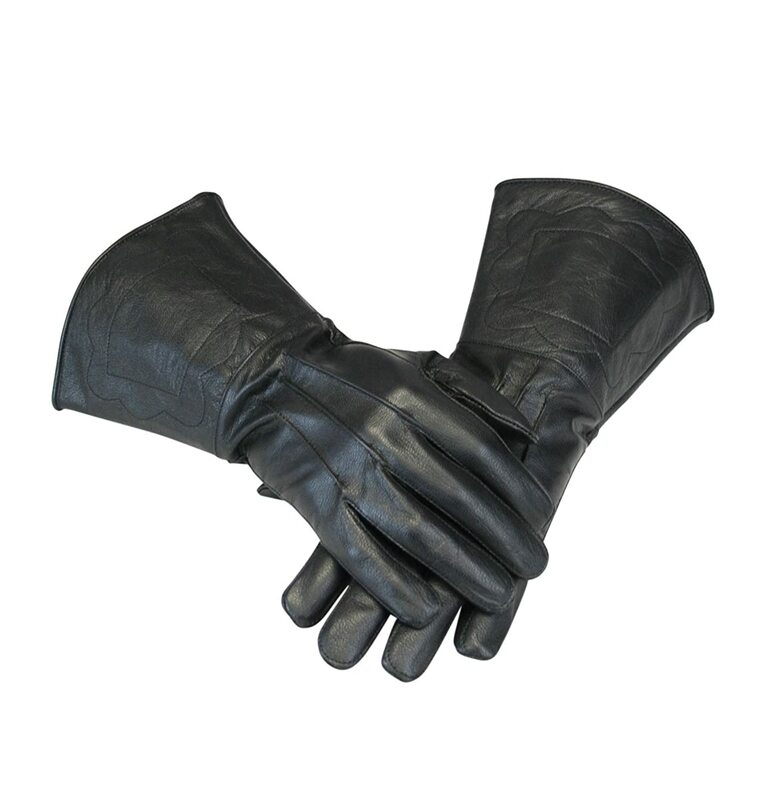 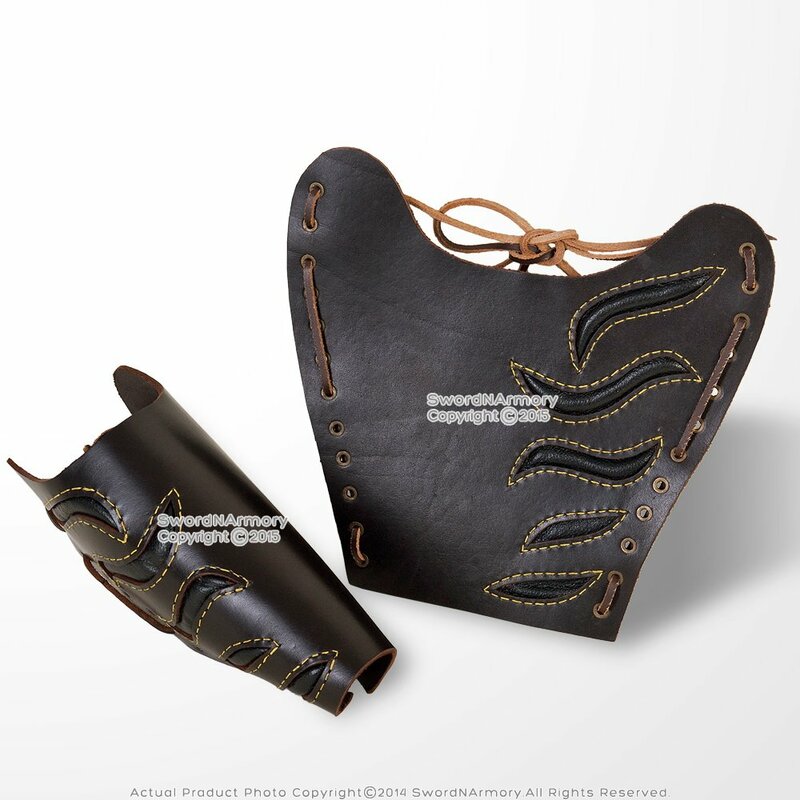 Men’s leather accessories are the finishing touch needed to complete the look of your Medieval and Renaissance costumes. 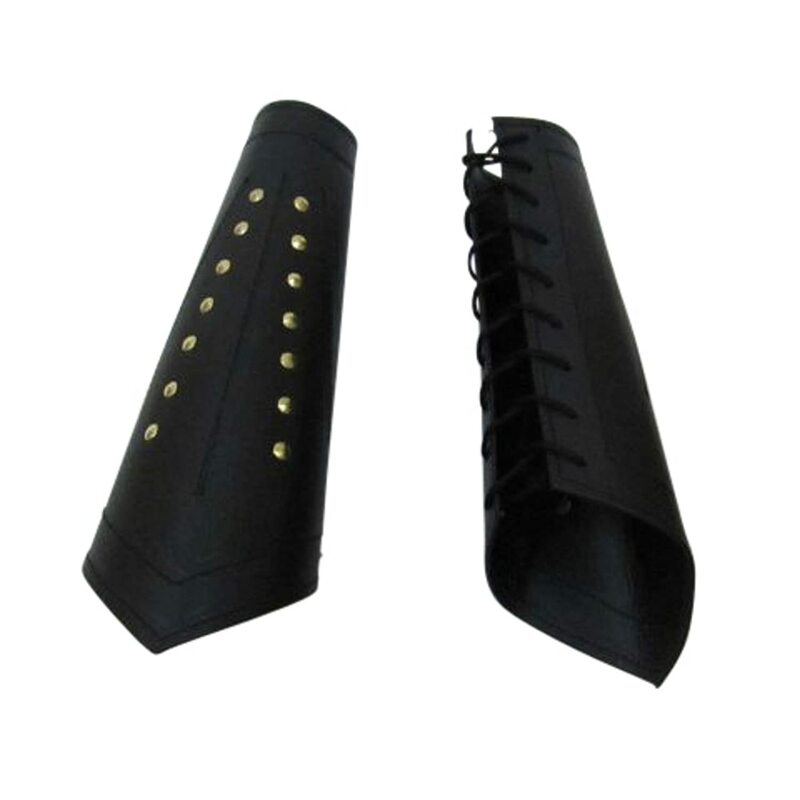 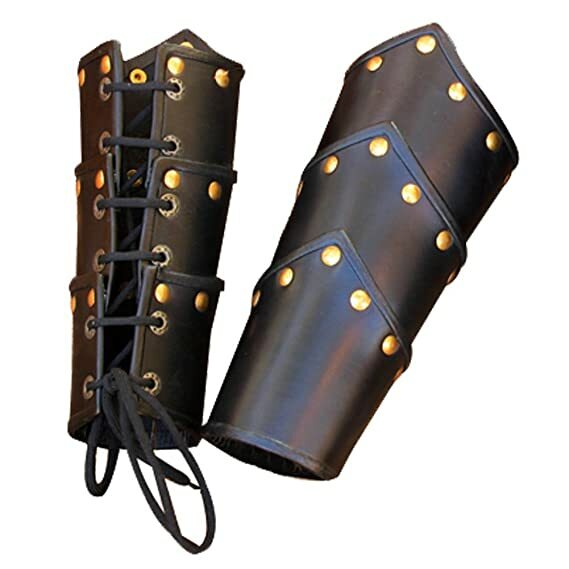 Here at Deluxe Adult Costumes, we have handmade genuine leather armband bracers, belts, gauntlets, pouches, and bags along with leather ale drinking accessories. 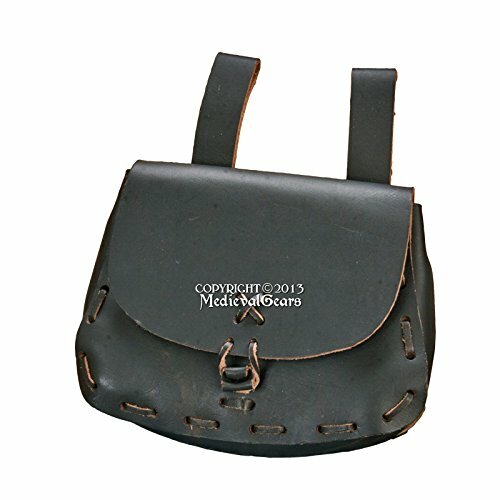 Any of these leather accessories will enhance the overall look of a Renaissance costume. 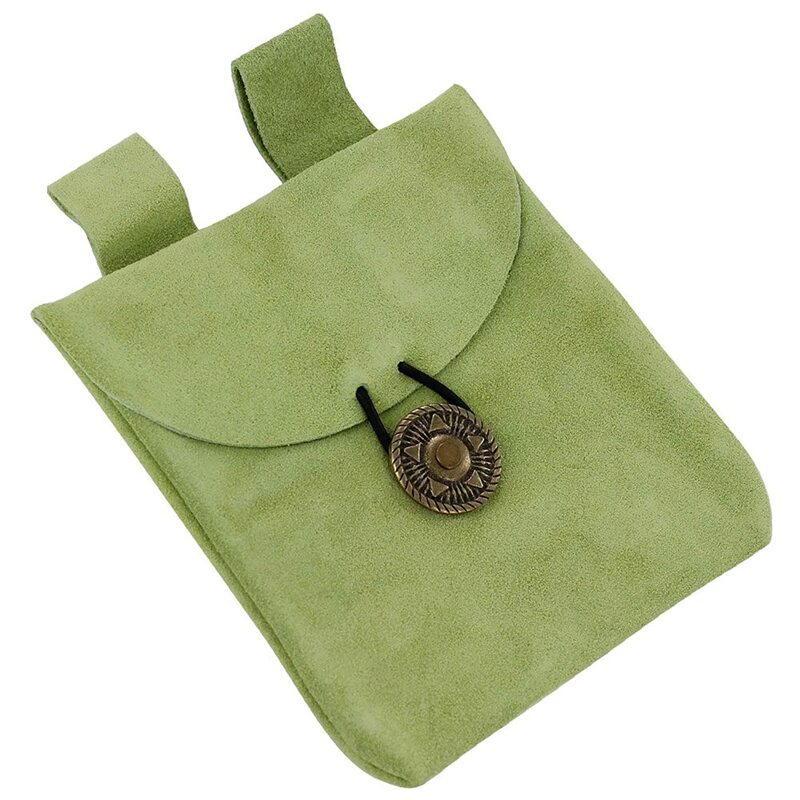 They are all accessories worn by the men living during the Medieval and Renaissance periods as part of their everyday wardrobe. 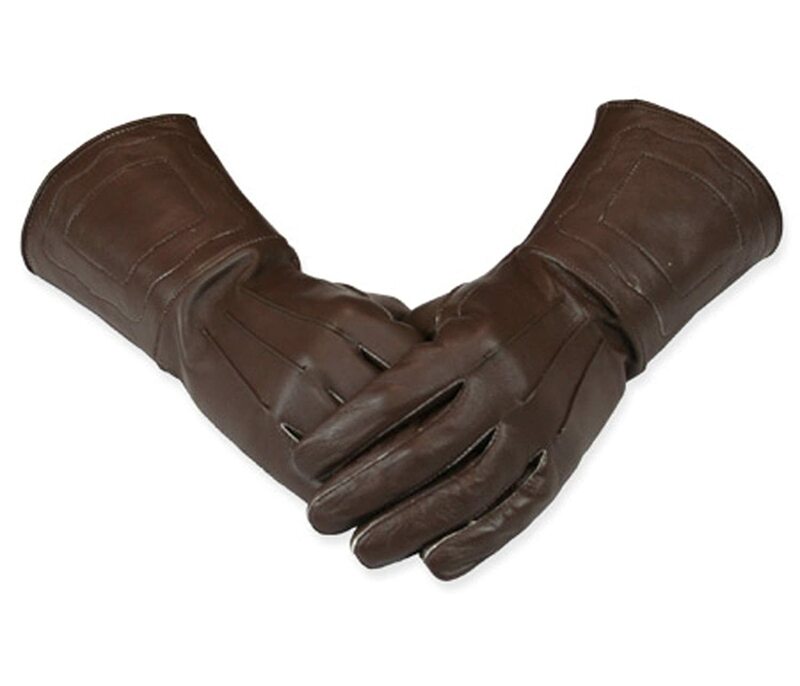 Men from all walks of life during the Medieval and Renaissance periods wore leather, from the peasant class up to the aristocracy. 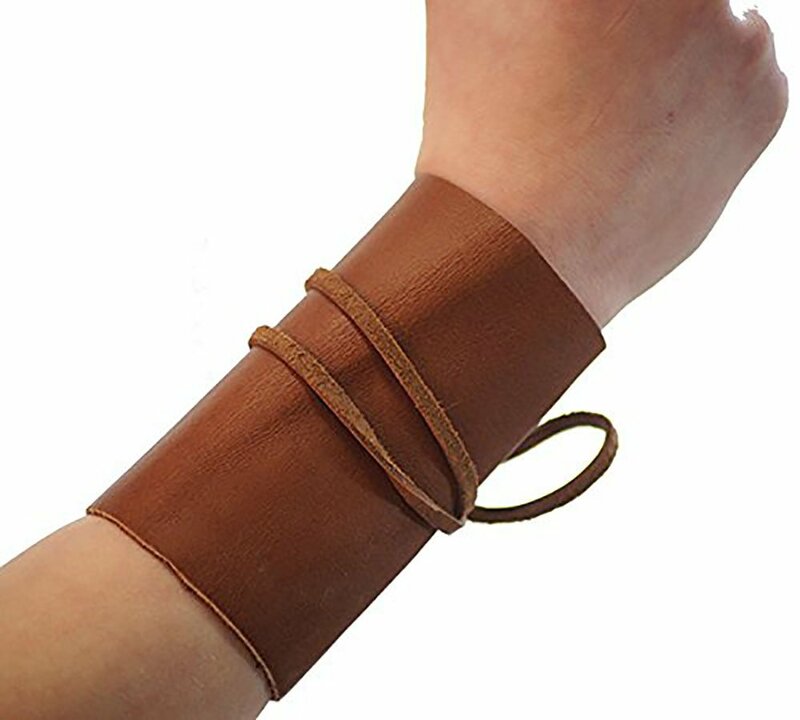 Of course, a peasantt would not have the same finery as a higher class citizen, but leather was readily available from the animals slaughtered for food. 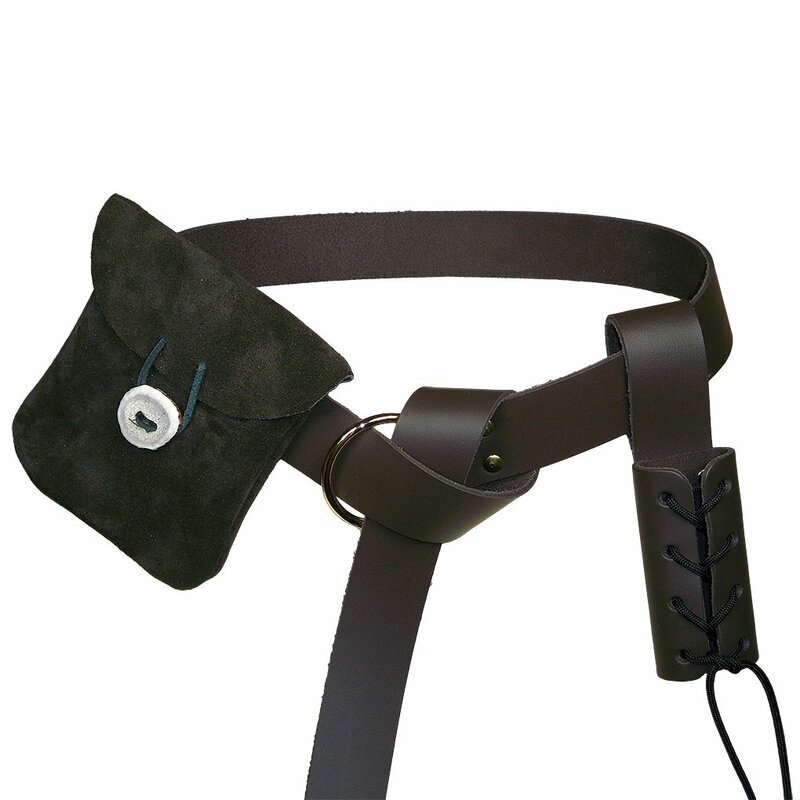 However, a peasant was more likely to wear a cloth sash as he was to wear a leather belt. 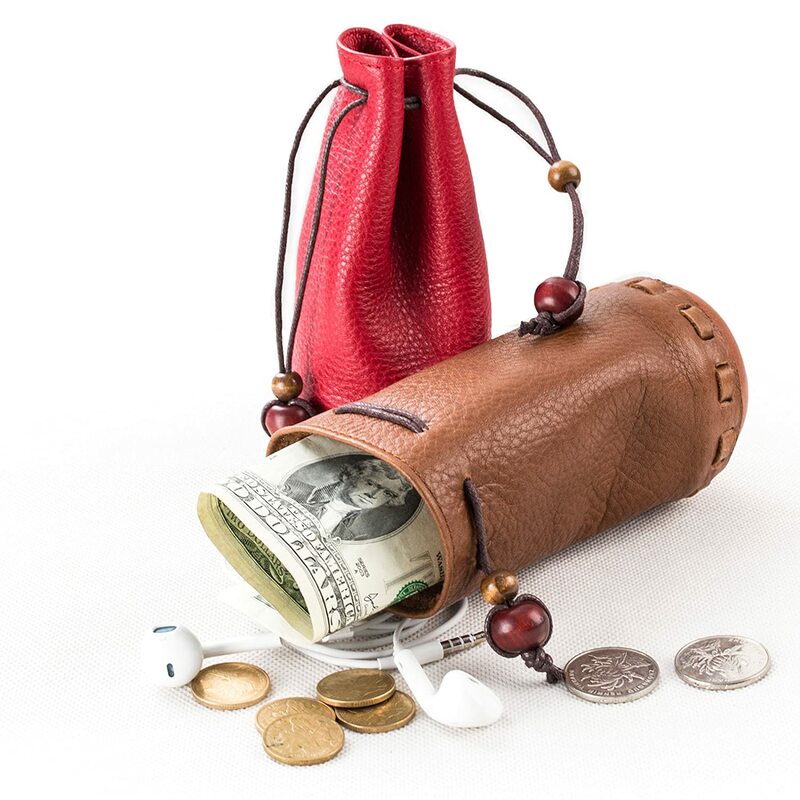 Usually, but not always, leather goods were reserved for higher class citizens and not the poor. 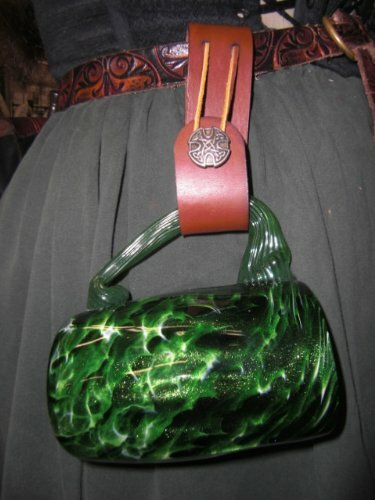 Beautiful metal work created by talented artisans drew a line of distiction between the lower and upper class citizens. 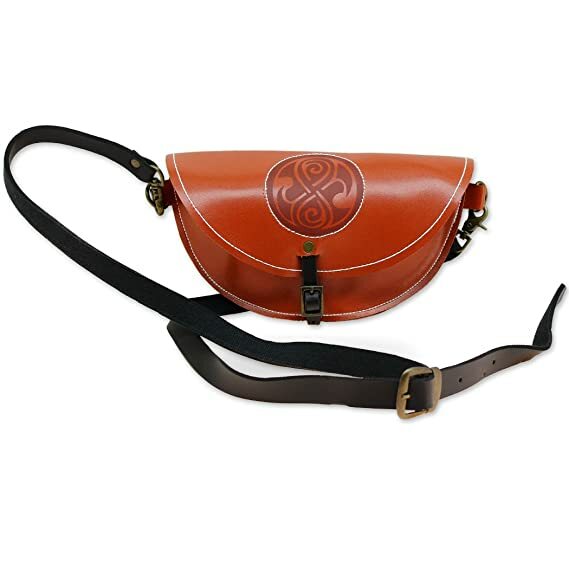 Only the wealthy could afford to wear a belt like this beautiful replica. 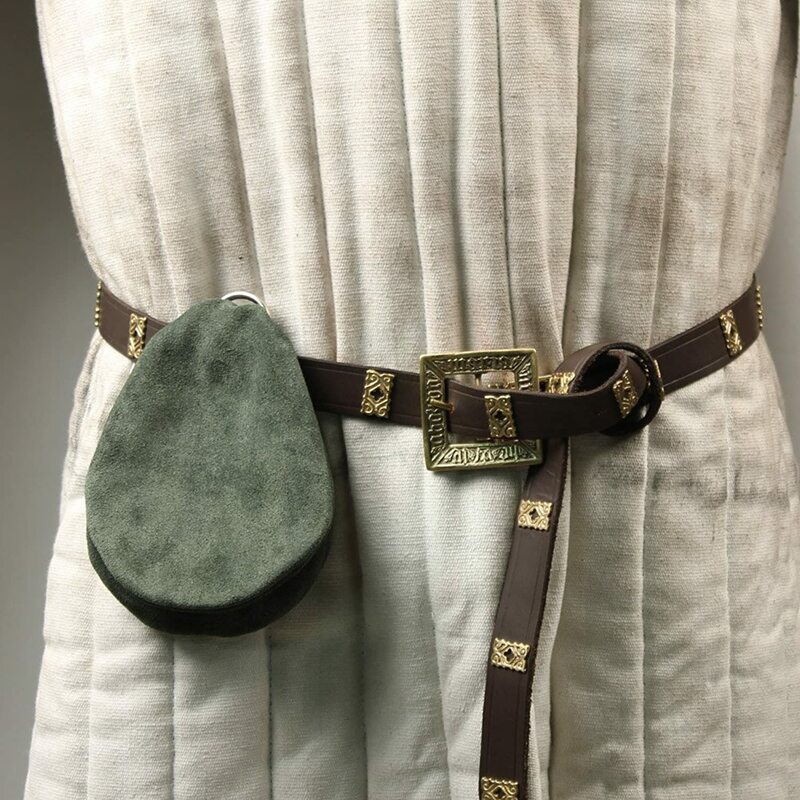 from By The Sword, Inc.
Ring belts were worn by both men and women during this period in history. 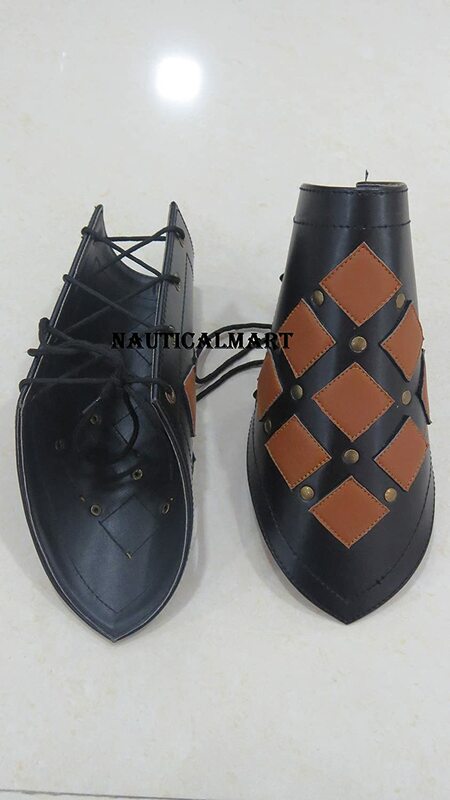 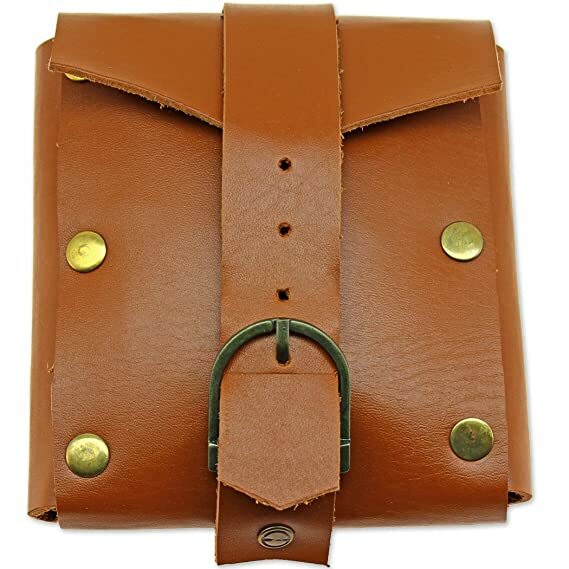 They served as the anchor on which other accessories are hung such as money pouches, satchels, mug and chalice frogs, weapon holsters and skirt garters. 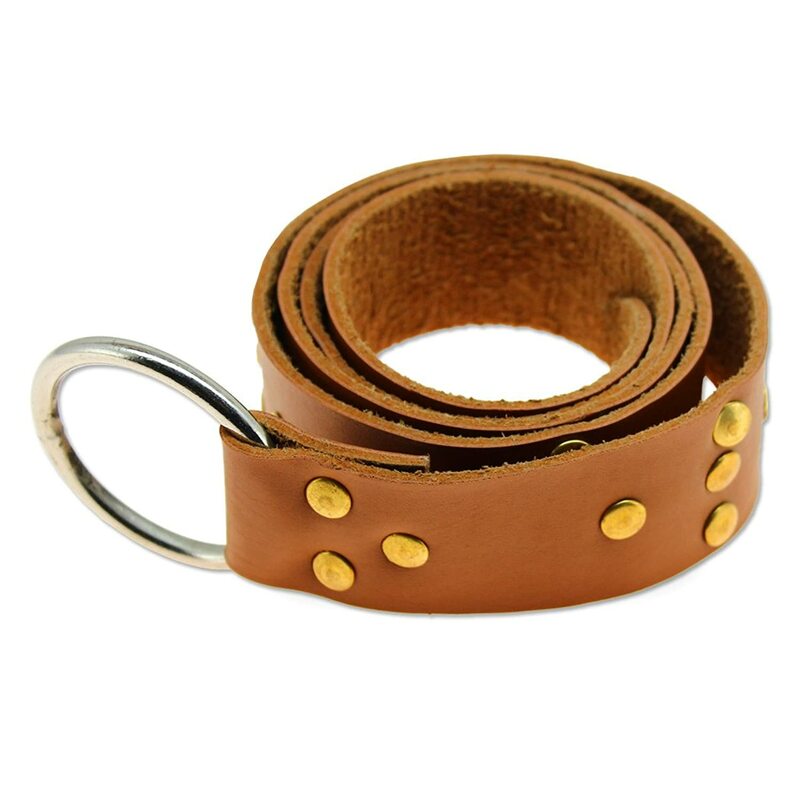 These two plain leather belts are made in the USA of the finest high quality leather. 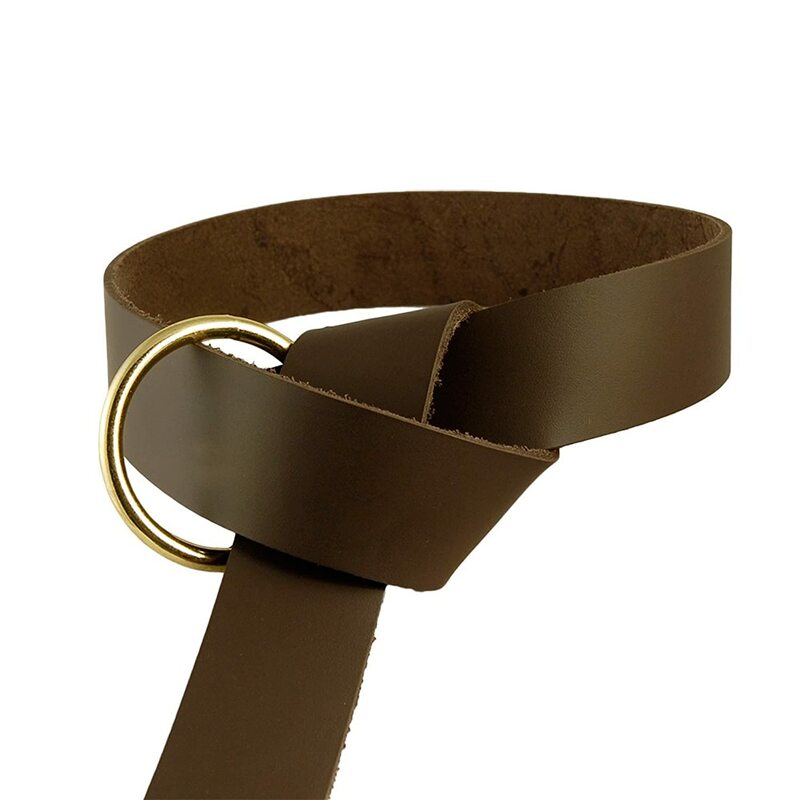 The belts are dyed on both sides, black or brown on both sides, and are fashioned with a polished brass ring. 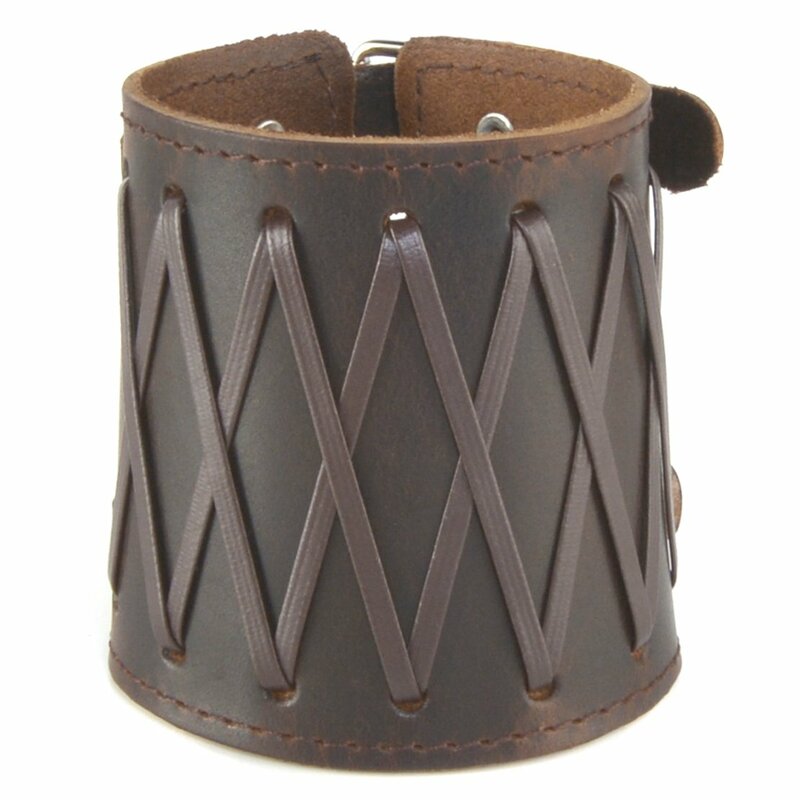 Riveted belts were a lot more work by the craftsmen as each rivet was handmade prior to the fashioning of the belt. 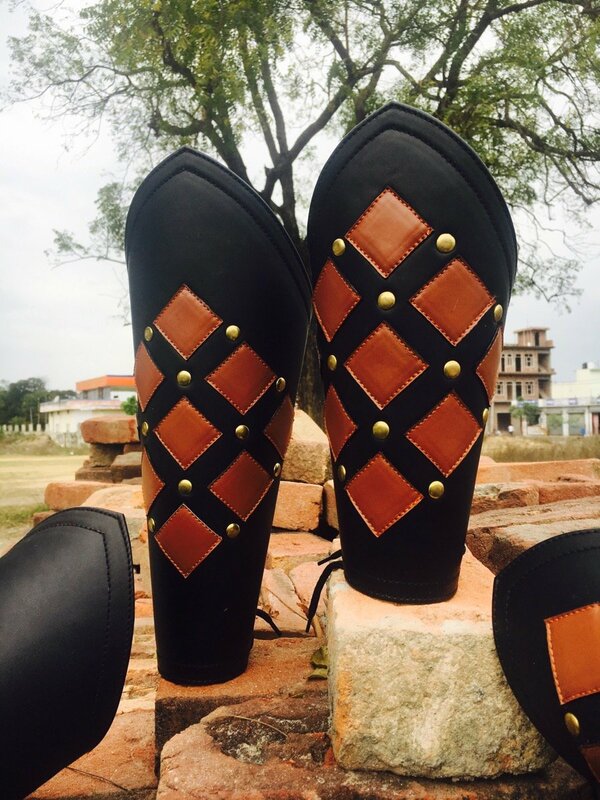 This tedious work then earned more money from the noble knight or wealthy benefactor who contracted the work to be done. 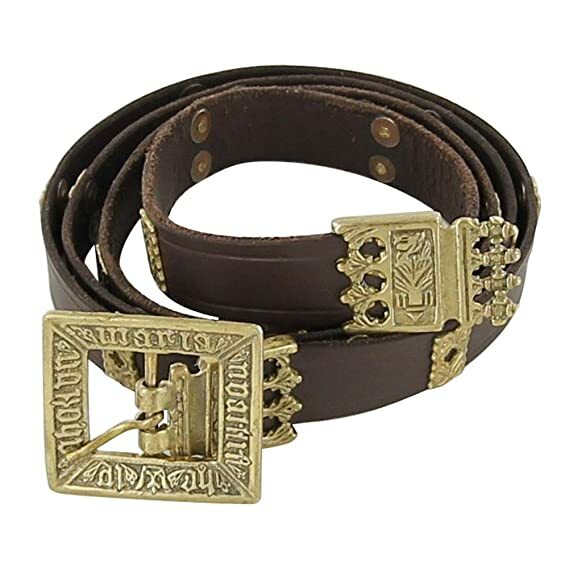 Handmade and hand tooled this medieval leather belt shows exceptional craftsmanship. 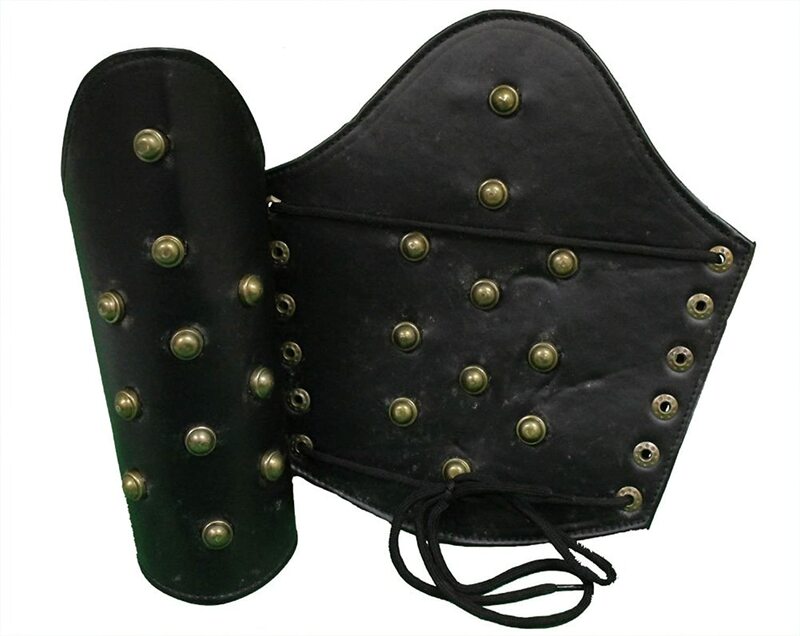 Riveted with copper and embellished with metal decorative crosses and the Lion of King Richard I (Richard the Lion Hearted), it is an asset to any men’s Renaissance costume. 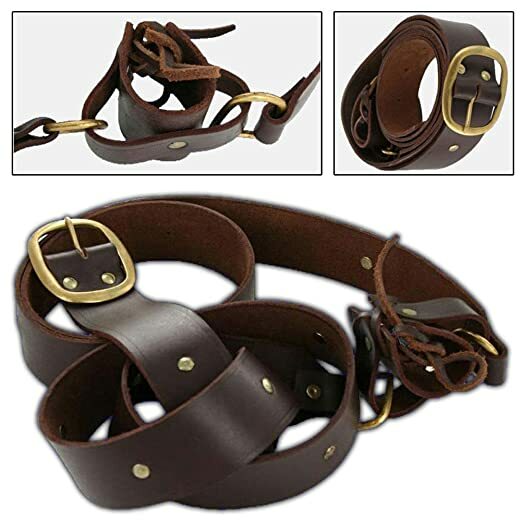 These belt sets are a good value for the money. 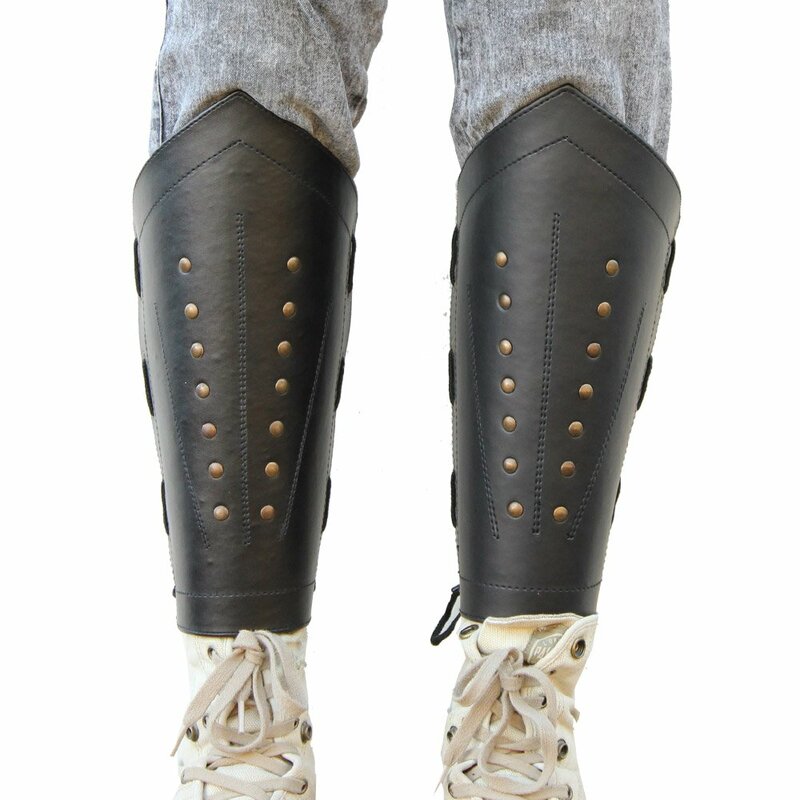 Keep in mind, they are not intended to hold up your trousers. 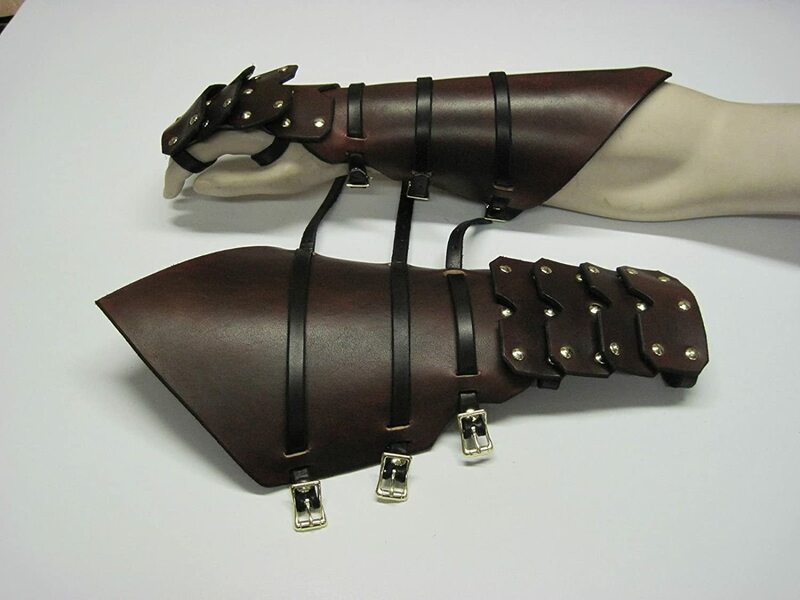 They are meant to hold accessories and weapons. 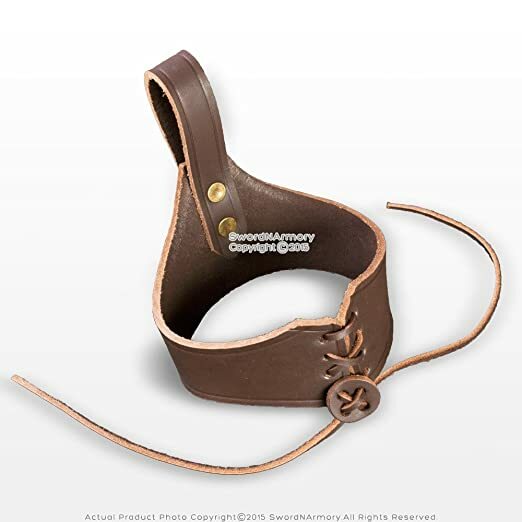 This brown leather set is a double wrap belt set with a leather sword frog. 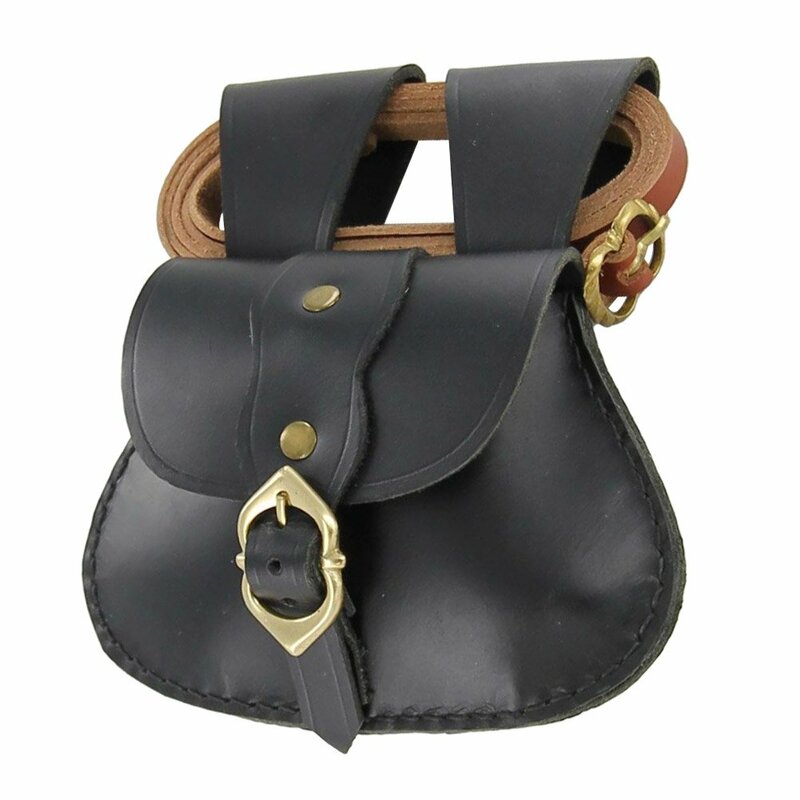 The buckle and the rivets are brass. 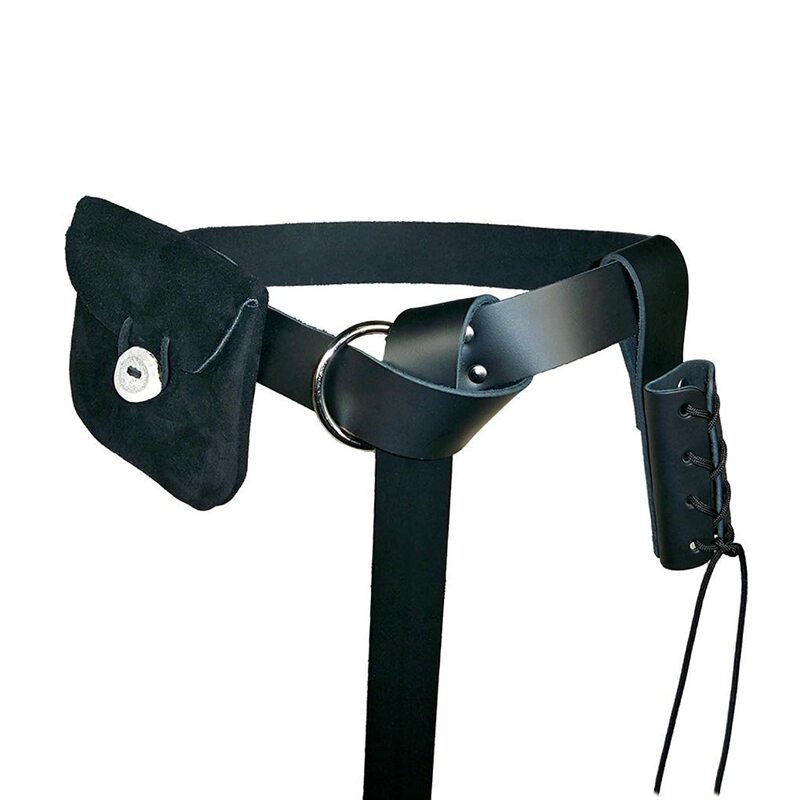 The belt is worn by holding the buckle in the front where a buckle normally goes then wrapping twice around the waist and sliding the belt tongue through the belt buckle. 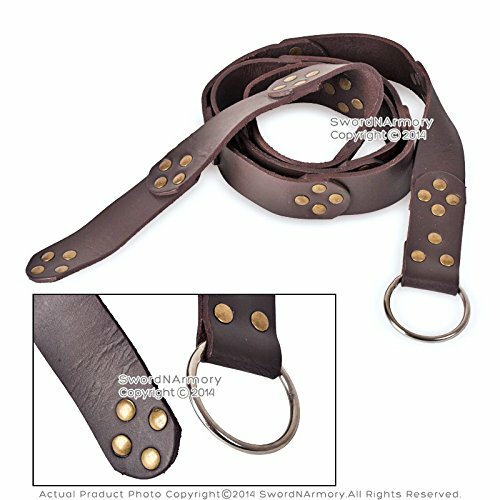 Included is a steel O-ring soft leather belt, a suede leather pouch with a bone-like natural button, and a straight leather medieval weapon frog to carry a sword or a dagger. 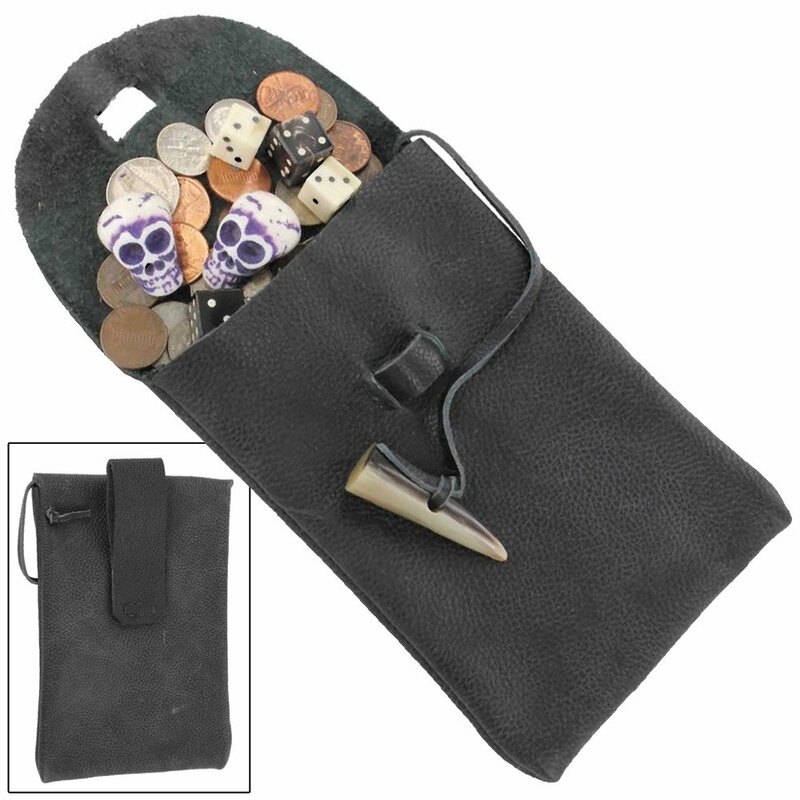 These sets are a really good value for the money, but the pouch is smaller than pouches you will find separately. 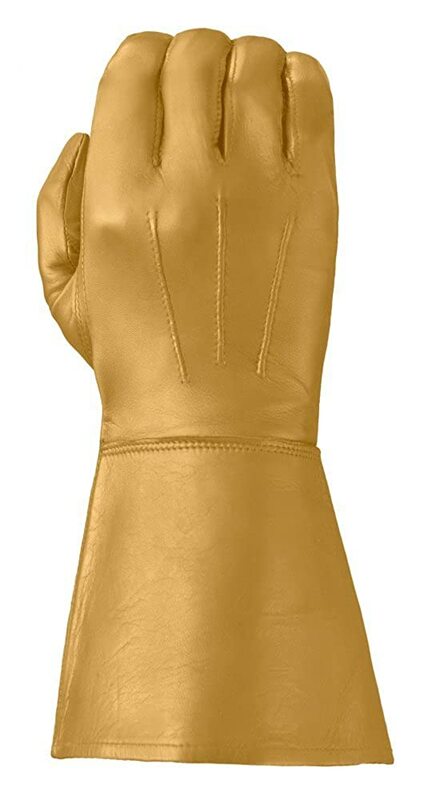 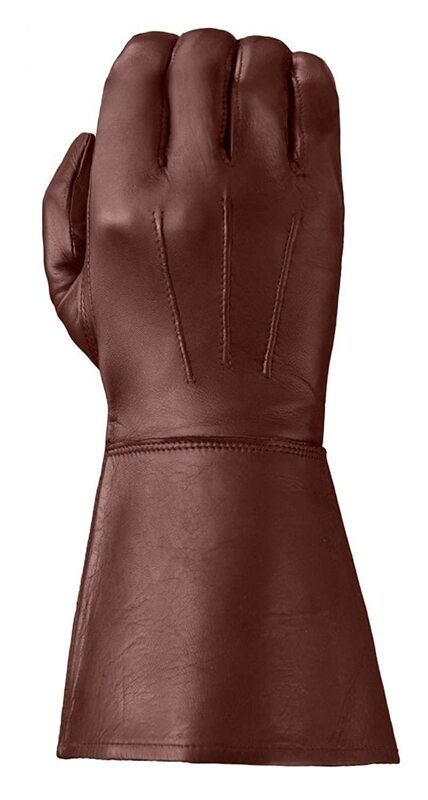 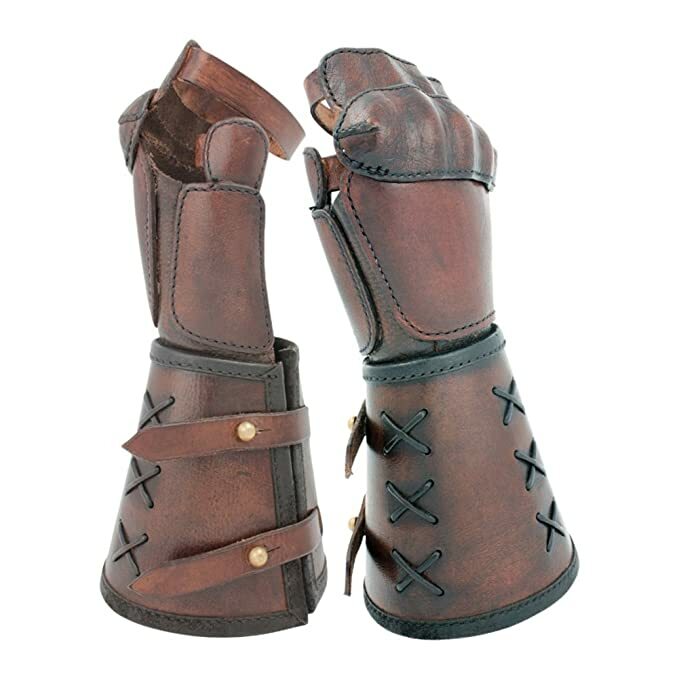 Guantlet gloves are an important part of men’s clothing attire as protection for the hands, fingers, wrist, and forearms keeping them from harm in battle and not as a fashion accessory. 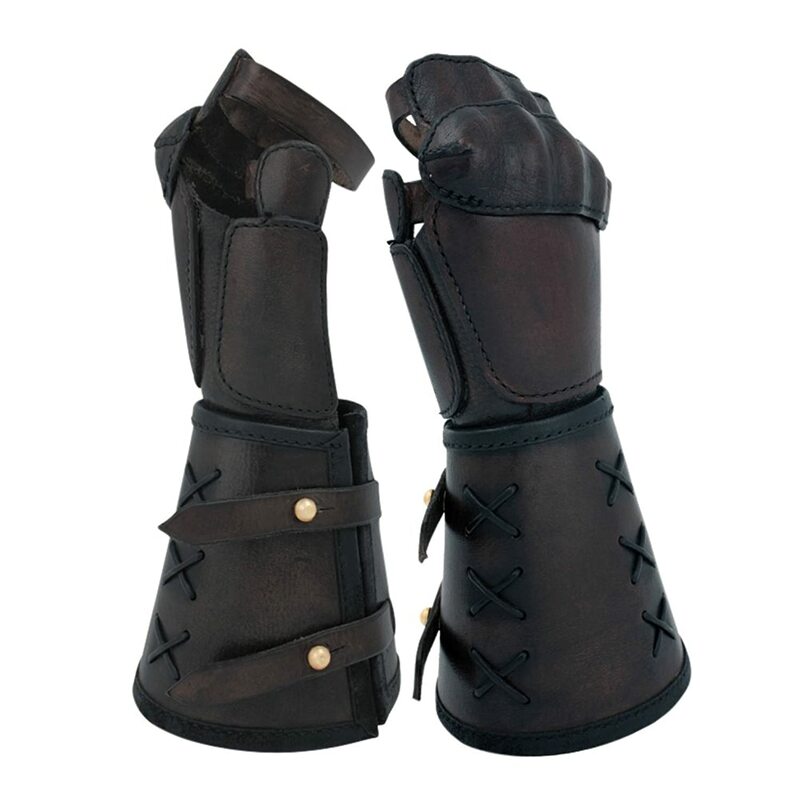 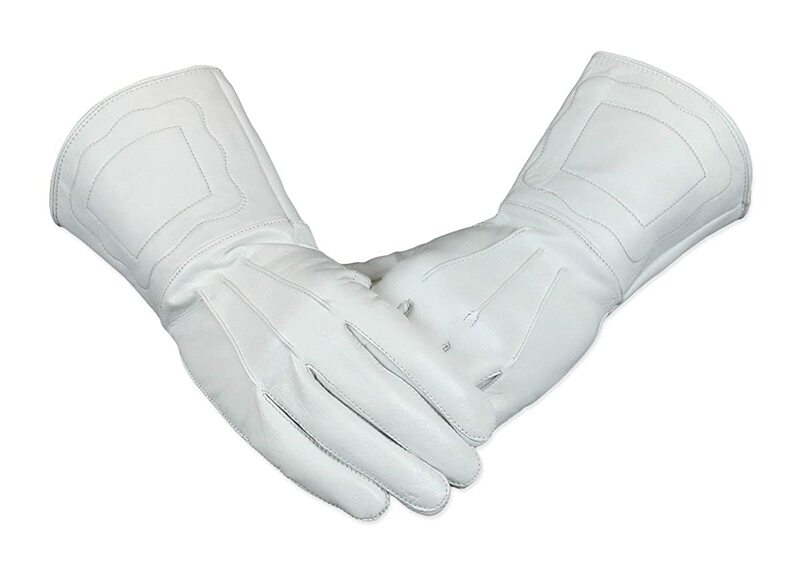 Gaunlets are usually made of a sturdier, heavier leather than riding or work gloves to protect their hands during sword fights and war battles while gloves were used as grip enhancements worn for everyday work use. 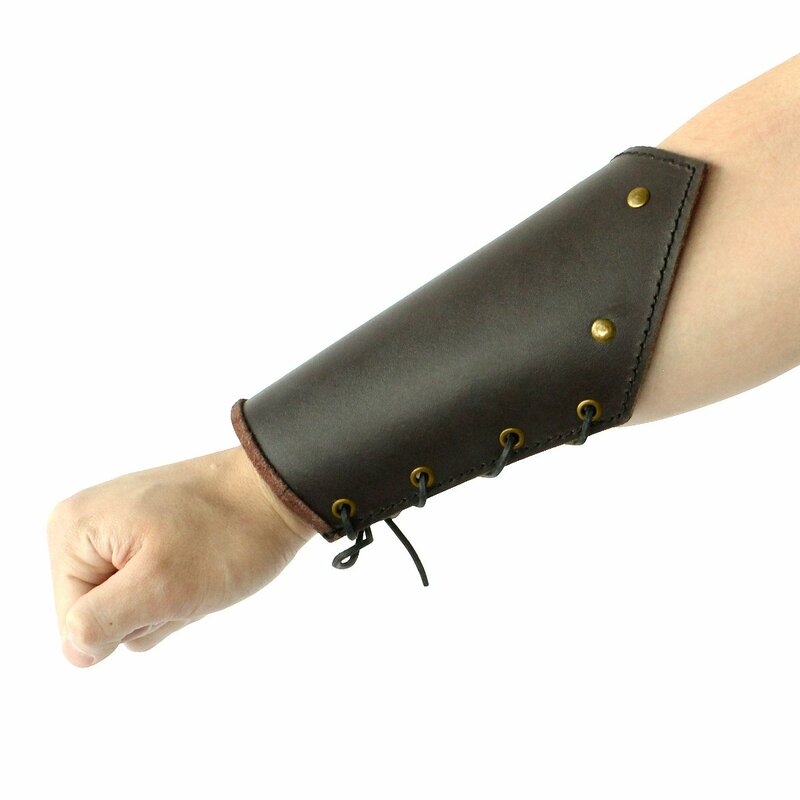 Protecting one’s arms in battle and when hunting is an extremely important feat. 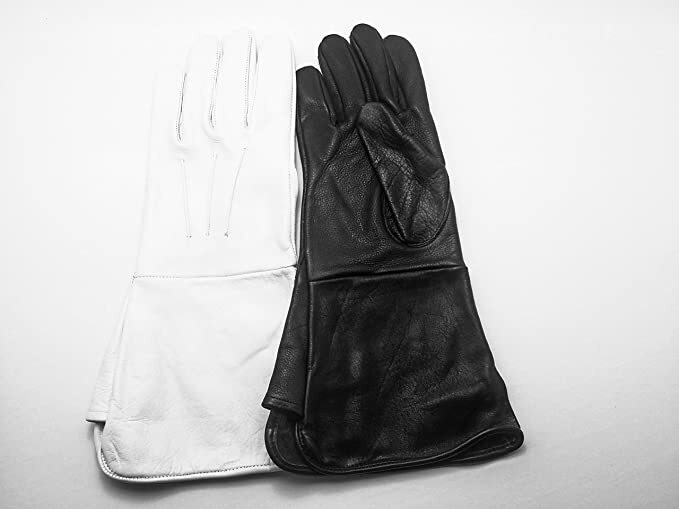 After all, without the use of your arms, you could not protect or provide for your family and king. 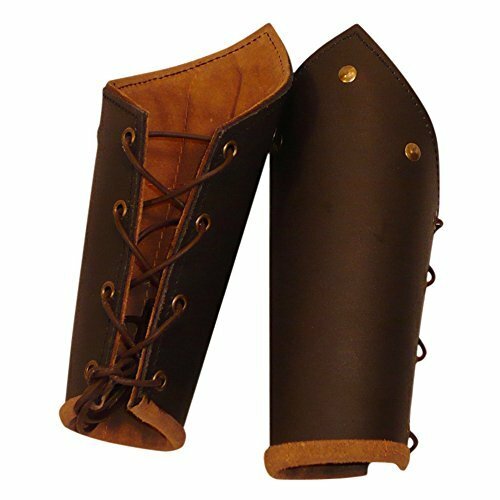 Thus bracer-arm guards were a necessary part of a man’s warrior and hunting wardrobe. 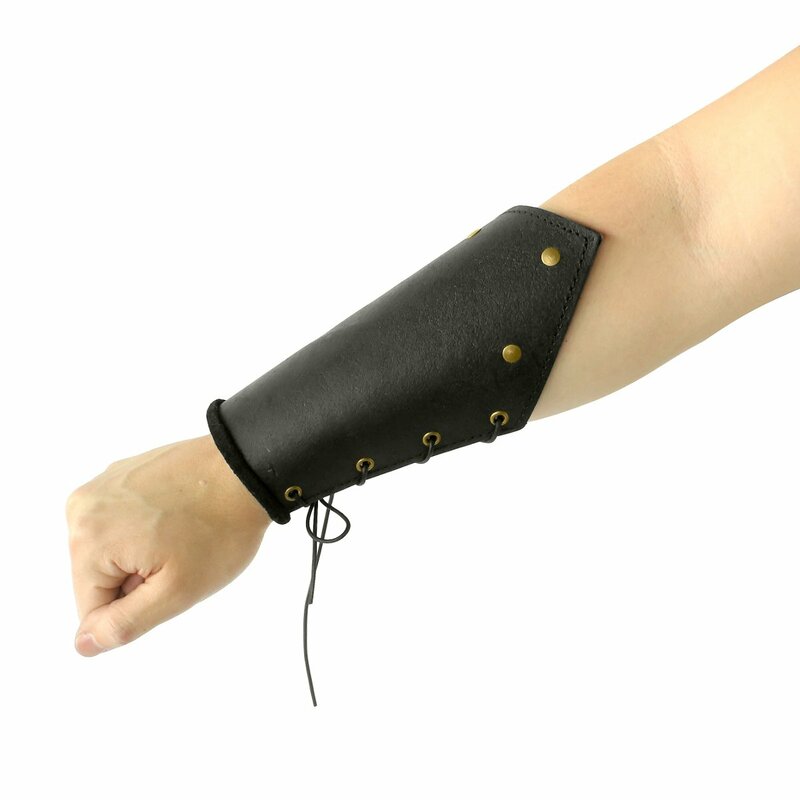 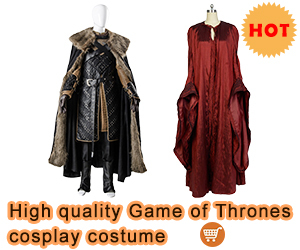 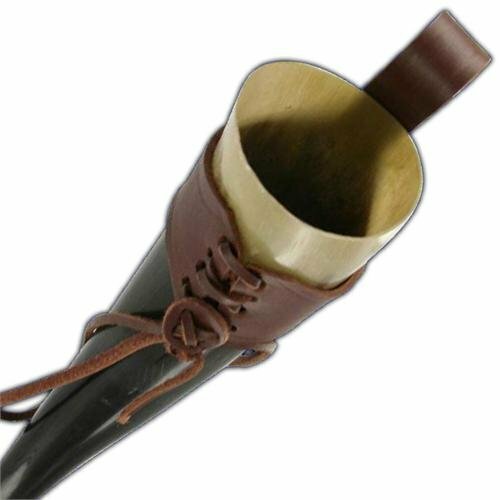 And the plus side to these costume accessories are that they can be used over and over to complement a wide variety of costumes for nearly any LARP, cosplay, Renaissance, or Halloween event. 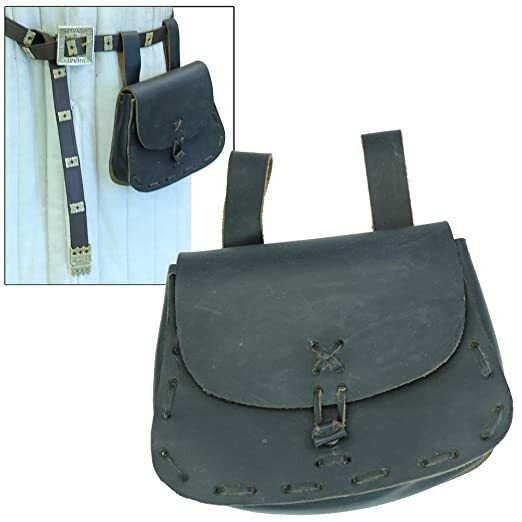 From earliest times some type of satchel, pouch, or bag was carried or worn on a ring belt to contain money, keys and other necessities. 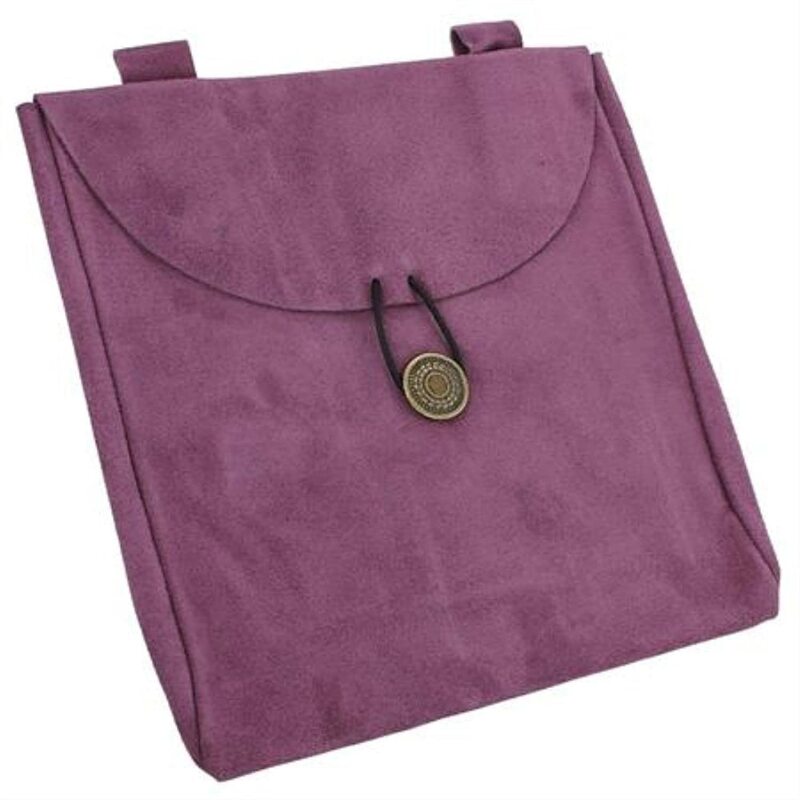 In Europe, for long periods during the Medieval period, purses were not a necessity because the costume itself was so voluminous with draping fabric that many pockets could be inserted to hold and conceal all such valuables and personal items. 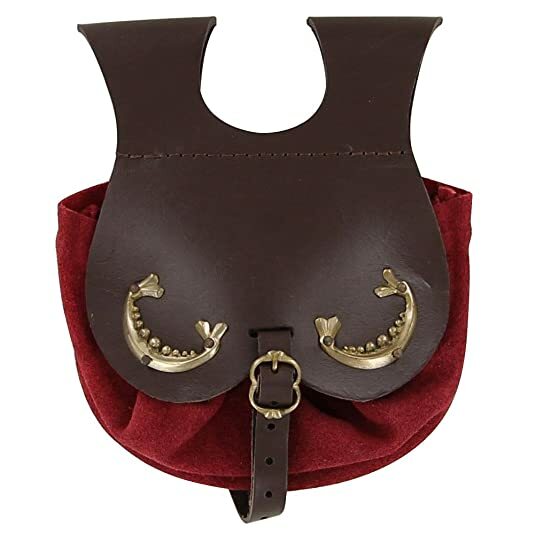 The perfect pouch for a King Henry VIII costume. 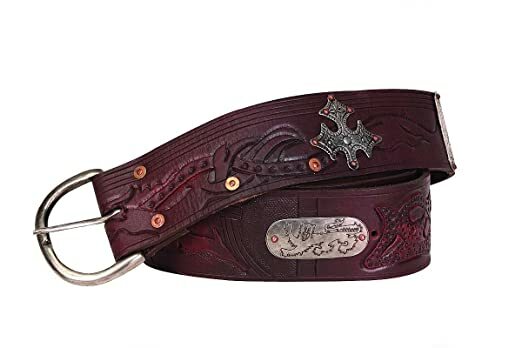 Remember, in some of the European countries such as England, Scotland and Italy, only Royalty (Earls and above) were allowed by law to wear crimson and scarlet red. 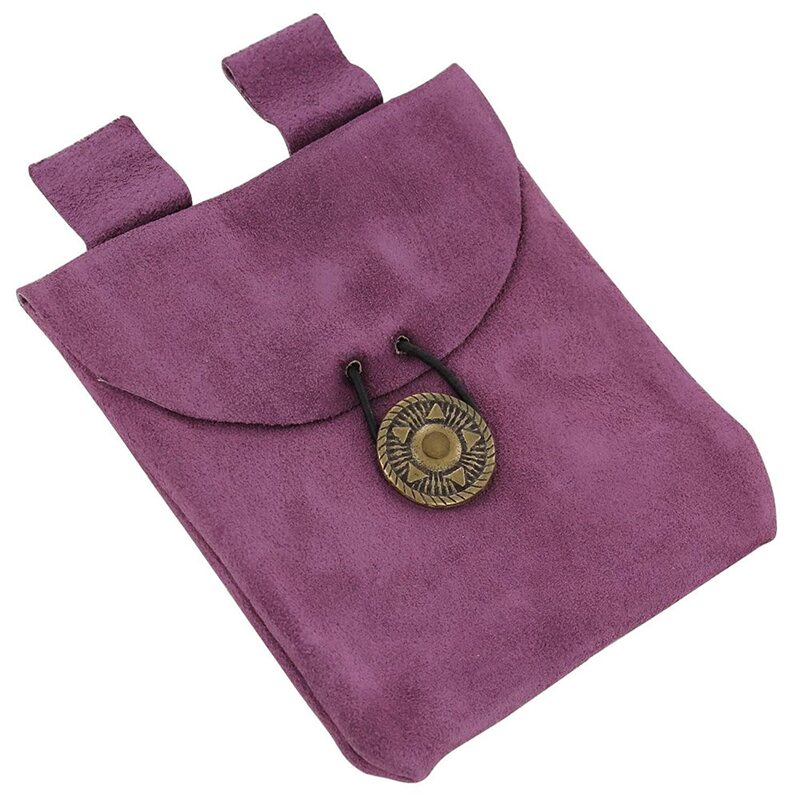 Genuine crimson red suede and tanned brown leather, this handmade pouch is accented with highly polished brass trim embellishments flanking each side of the pouch. 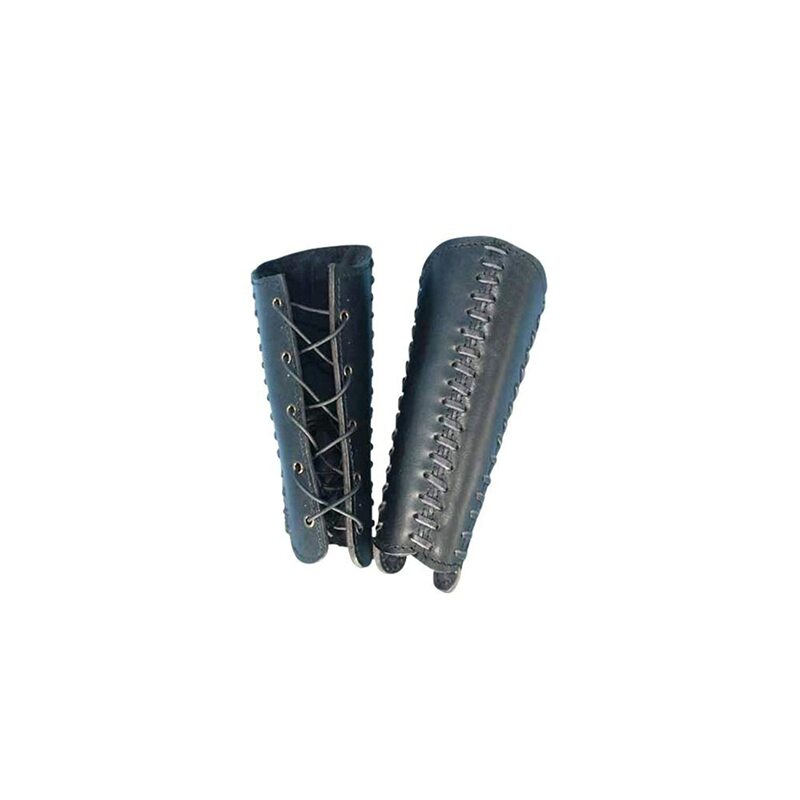 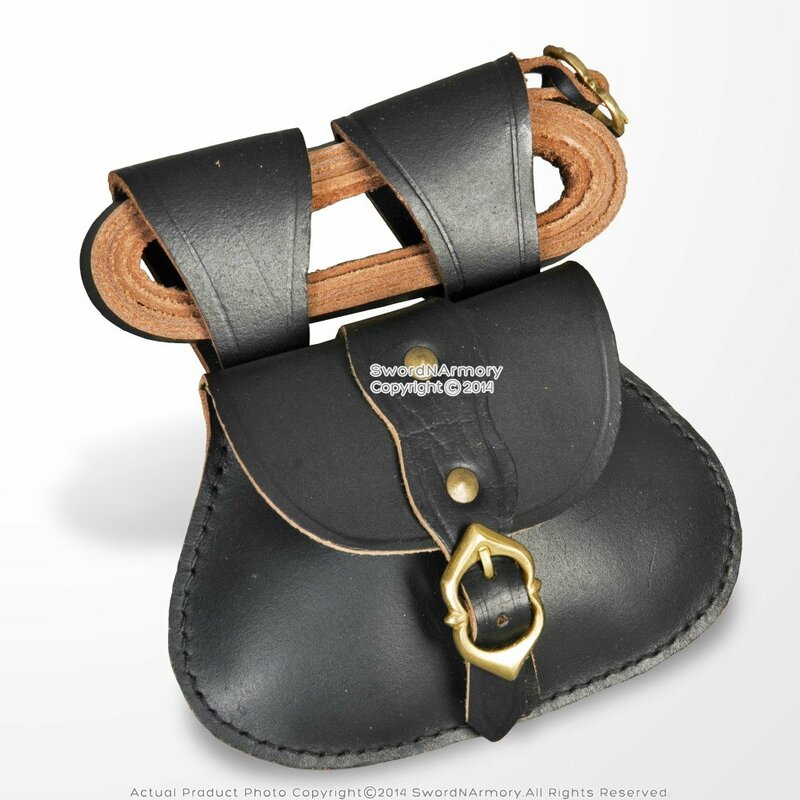 The leather belt loops are wide enough to slide onto a belt under 2-inches. 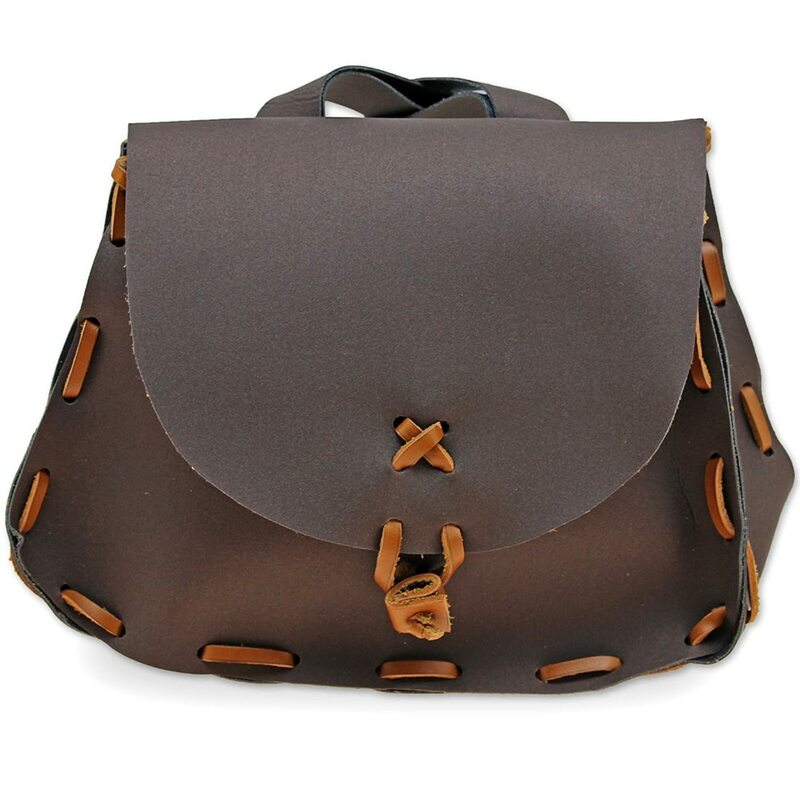 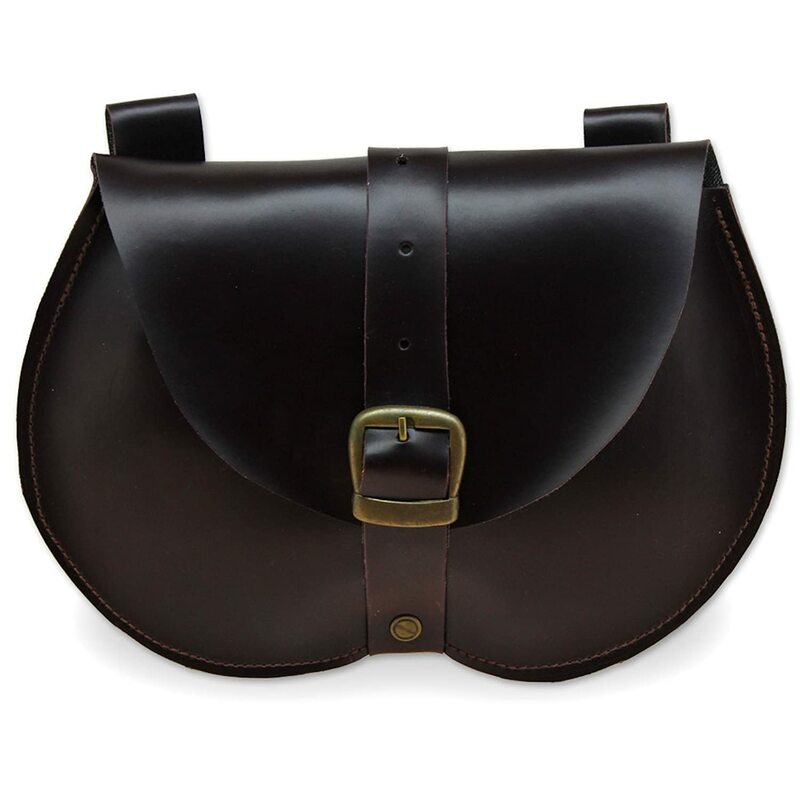 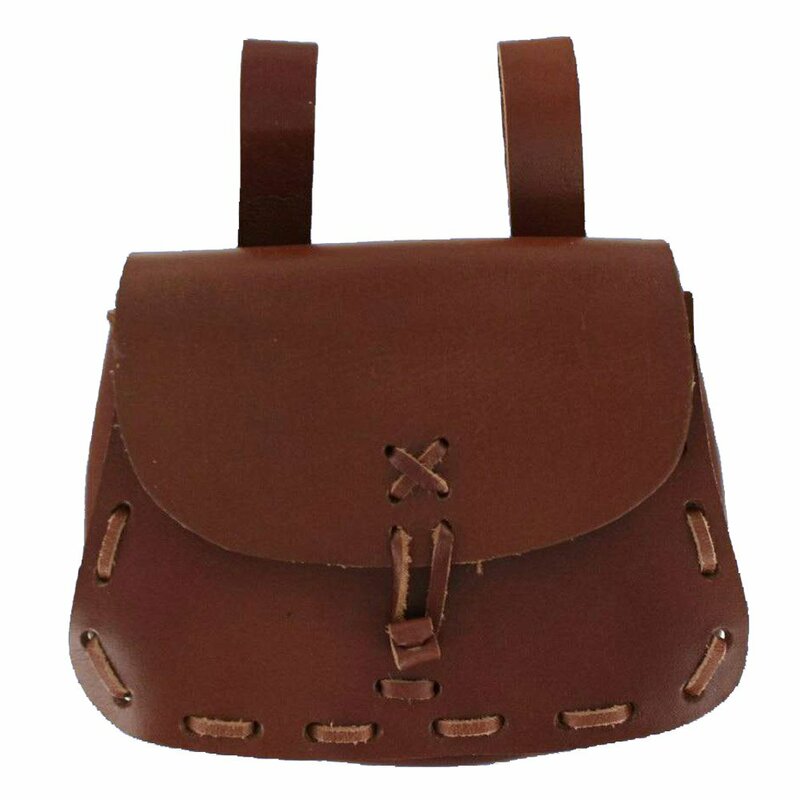 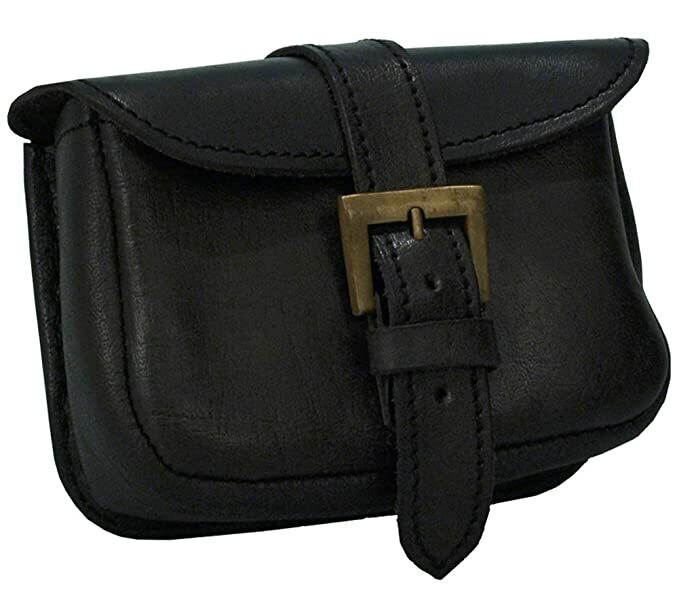 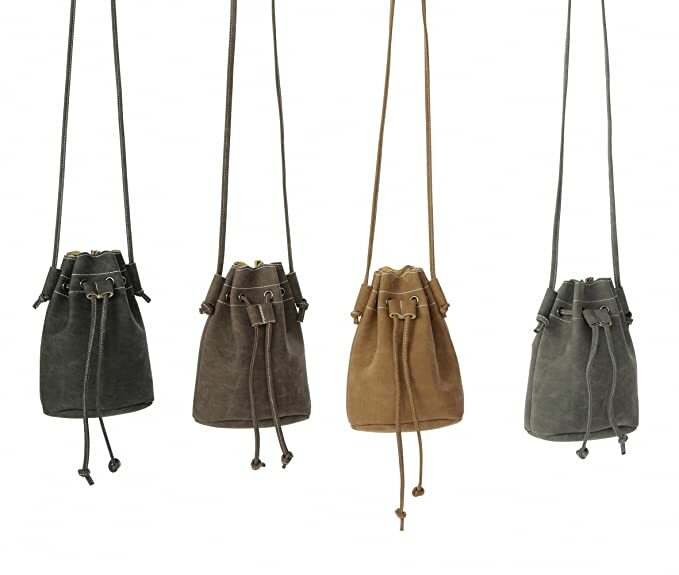 During the Renaissance, pouches, bags, and satchels were seen in fashion as the custom for both men and women. 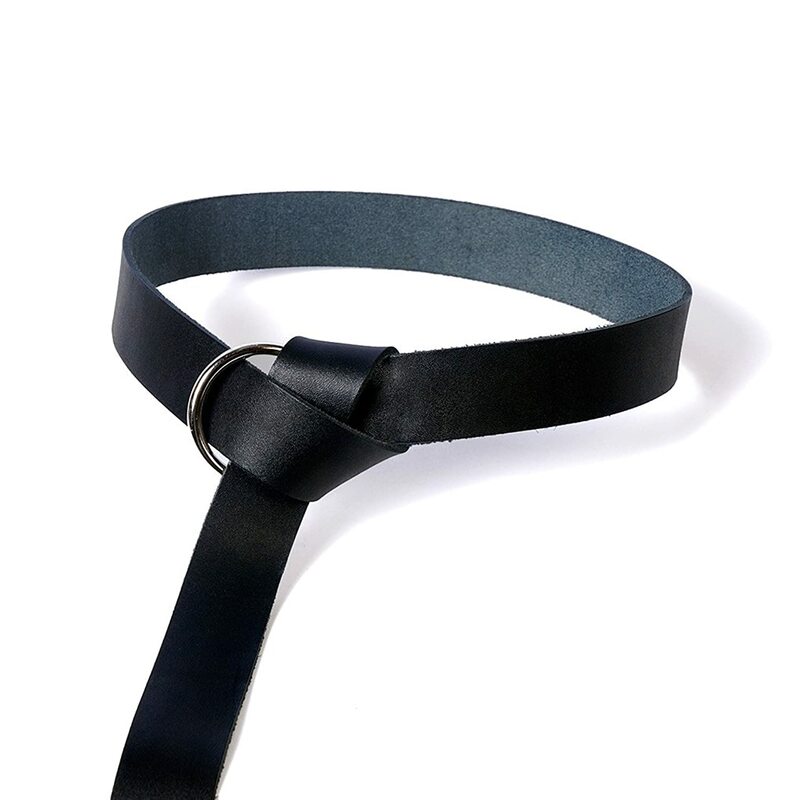 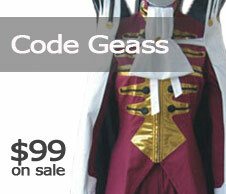 They were usually attached to a belt or girdle. 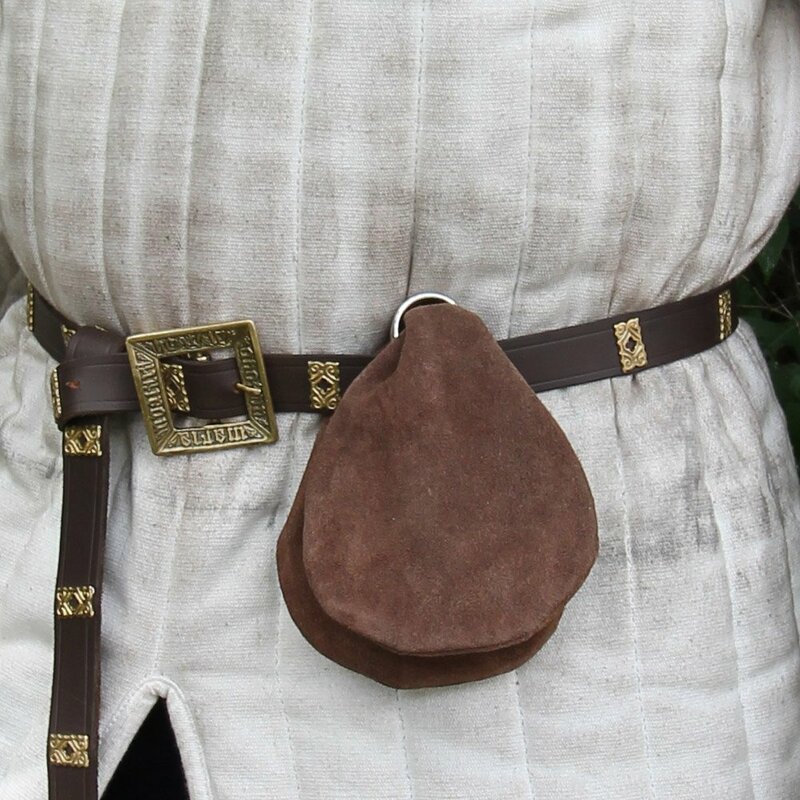 The pouch might be visible, hung or slung from the belt worn on the hips, or it might not be visible attached to a belted undertunic for safety and so not to attract the attention of thieves. 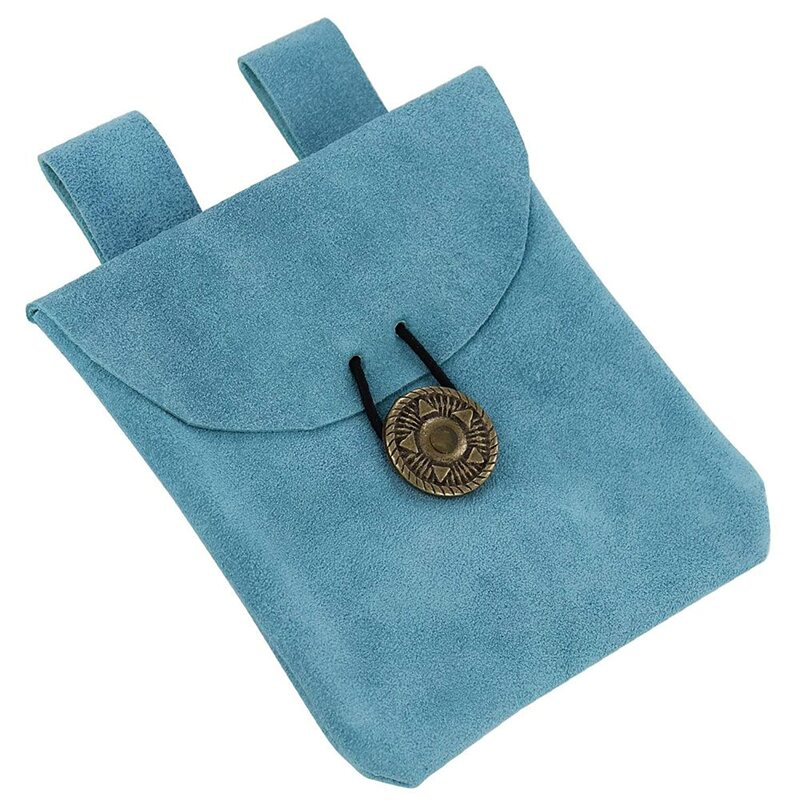 These pouches, satchels, and bags were made of leather, silk, wool or linen, depending on the rank or class of the citizen wearing it. 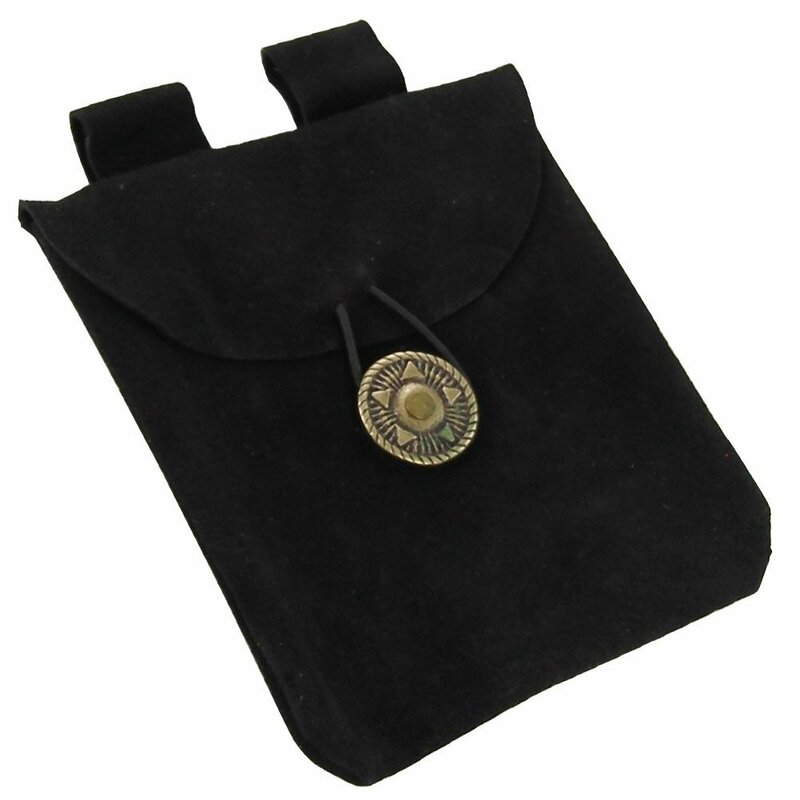 Bags of a noble or aristocrat were often embroidered, fringed or tasseled. 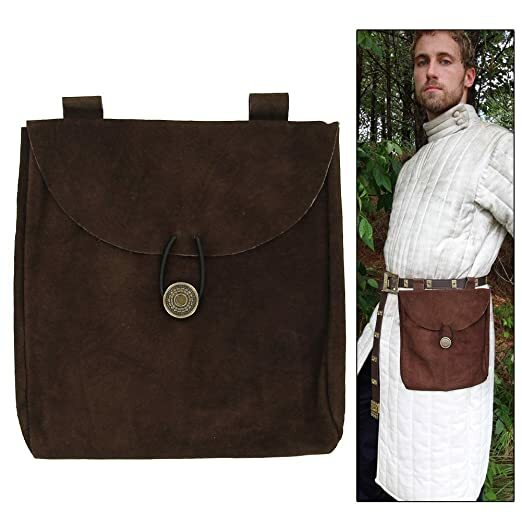 They were known by various names: the almoner, worn by nobles were used especially to carry alms, the gipser (gipciere), the scrip or wallet, or merely purse, pouch, or bag. 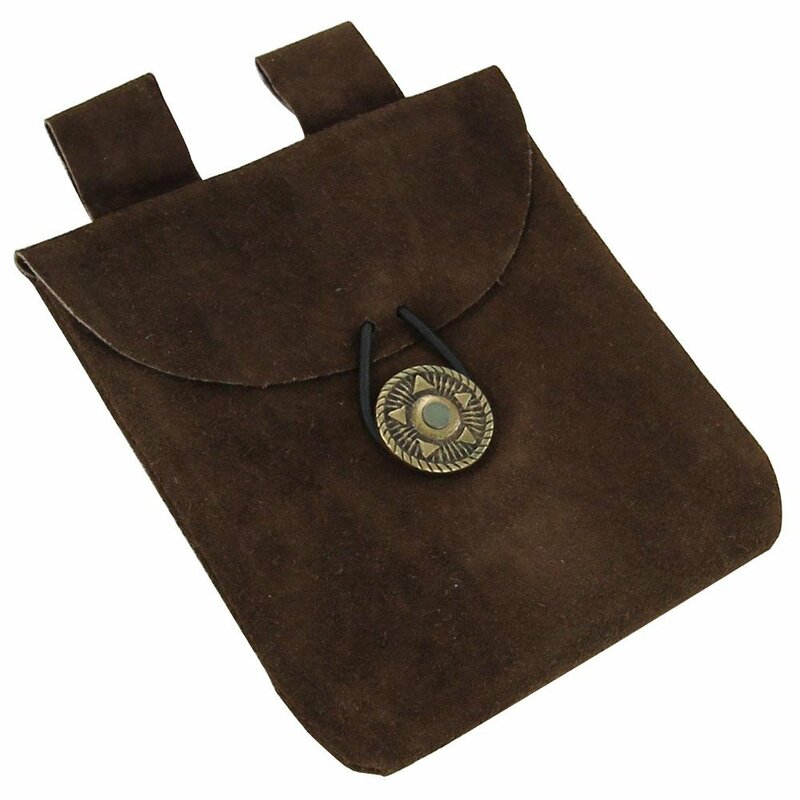 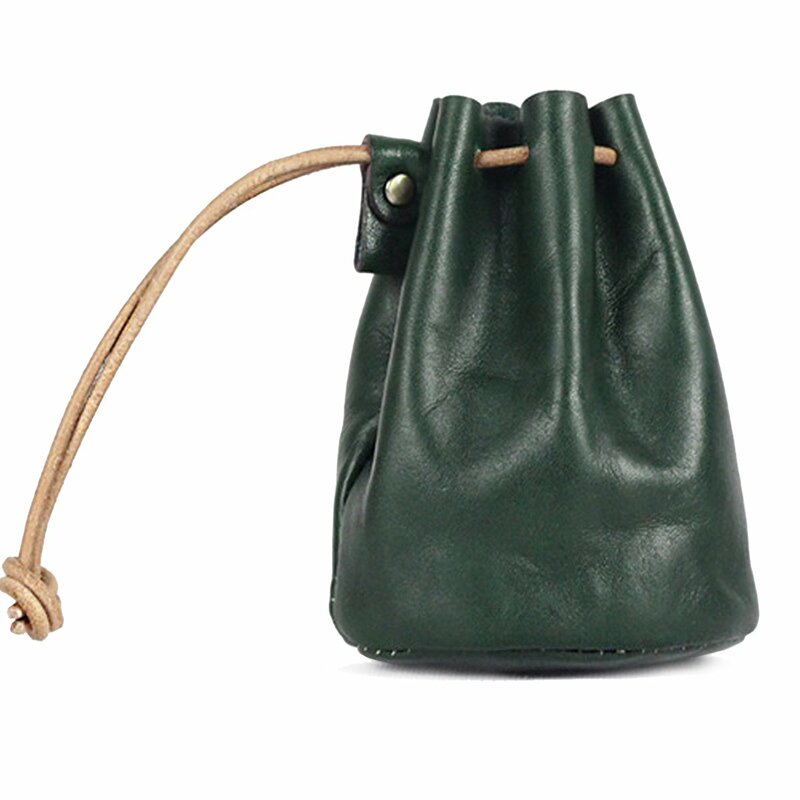 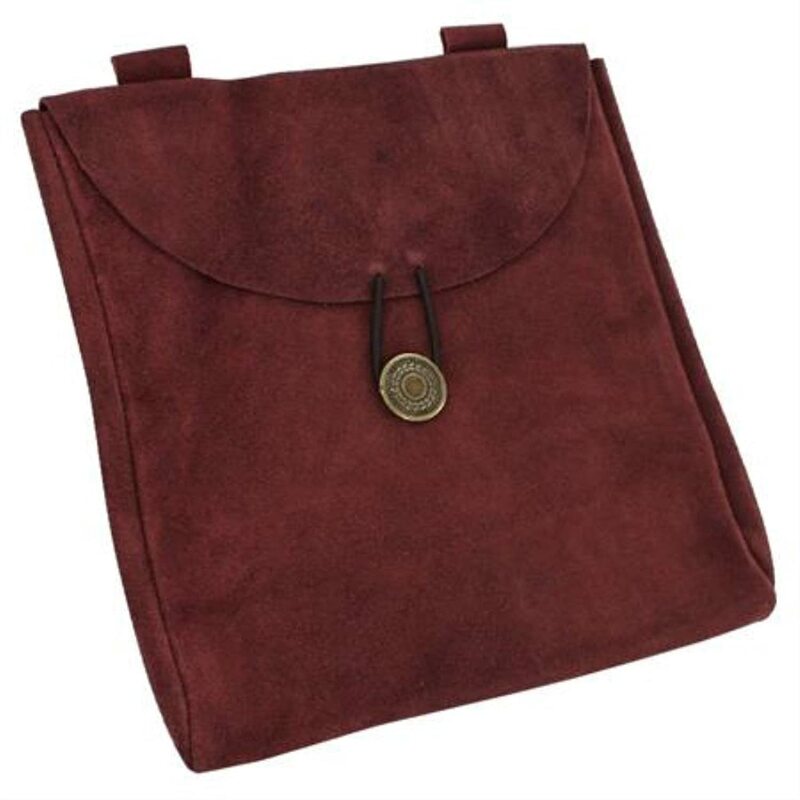 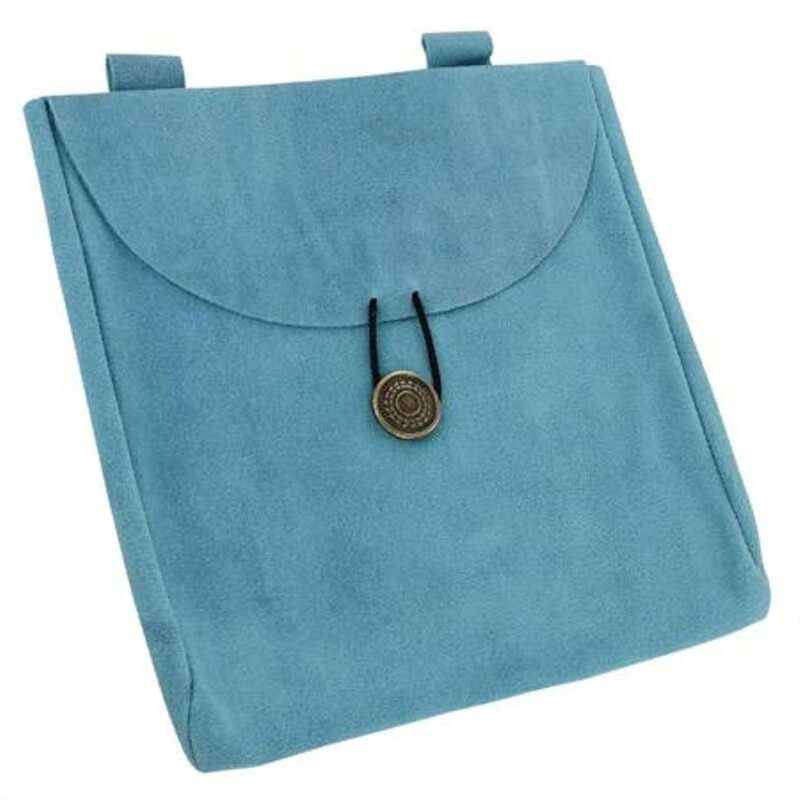 Historically accurate in a Medieval Renaissance design, these large drawstring coin bags are made of faux suede leather. 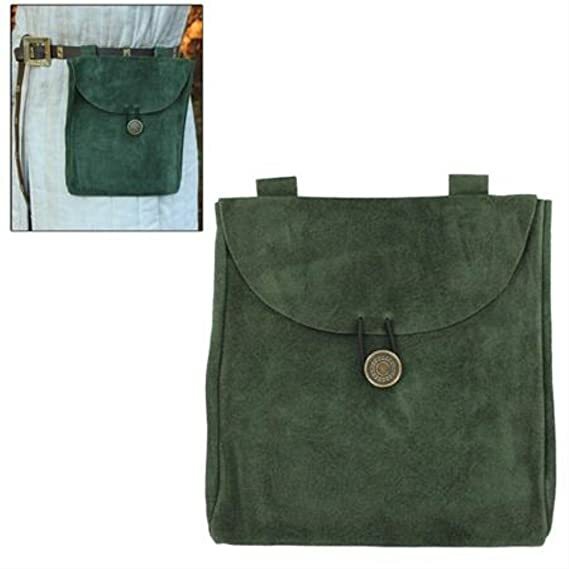 They are large enough to carry a cell phone, wallet, and keys. 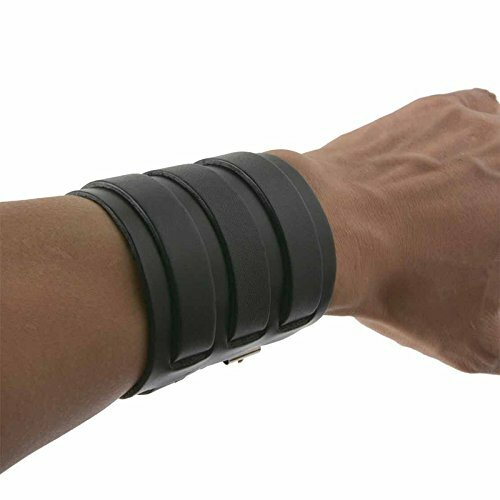 I would tie it to my leather O-ring belt. 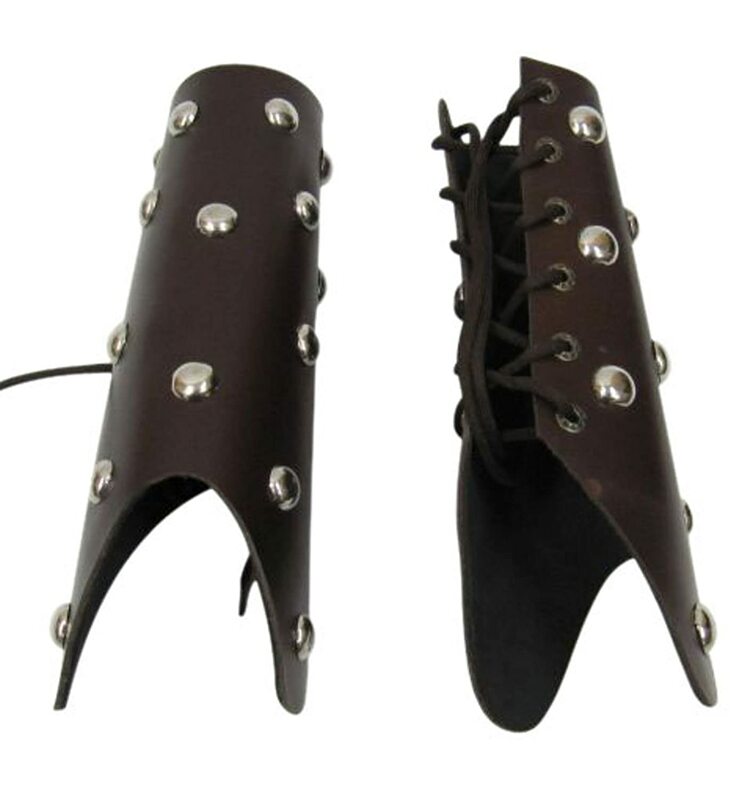 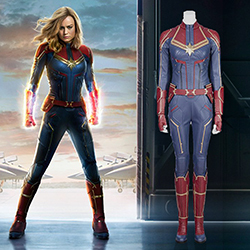 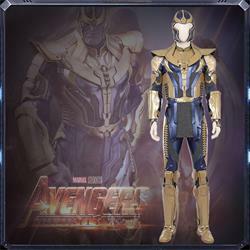 I do not like the fact that they are made from a synthetic leather, but they are a good substitute for the vegan population who are not looking for historically accurate materials in their costuming. 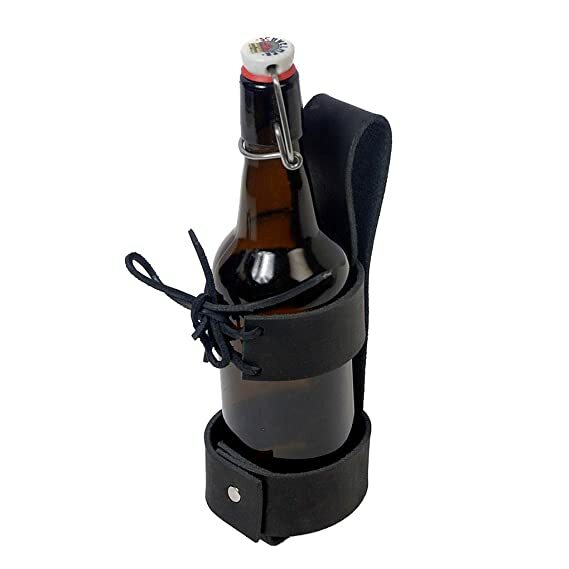 Fabulous leather drinking accessories to slide onto your belt. 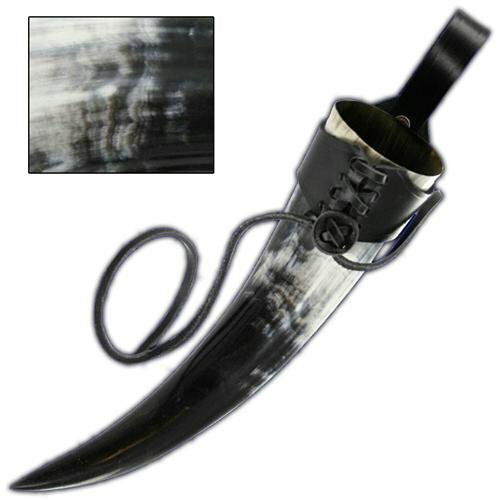 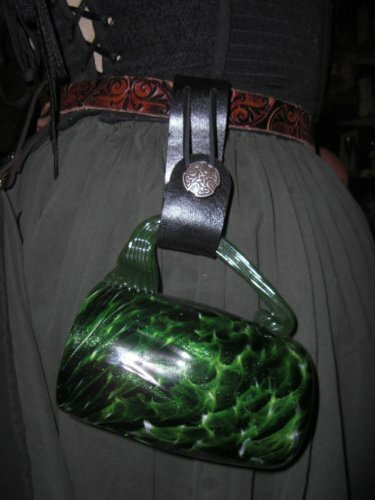 Making it a hands-free way to carry your beverage of choice throughout the Renaissance Faire, Viking Festival, Pirate Festival, cosplay, LARP and re-enactment events. 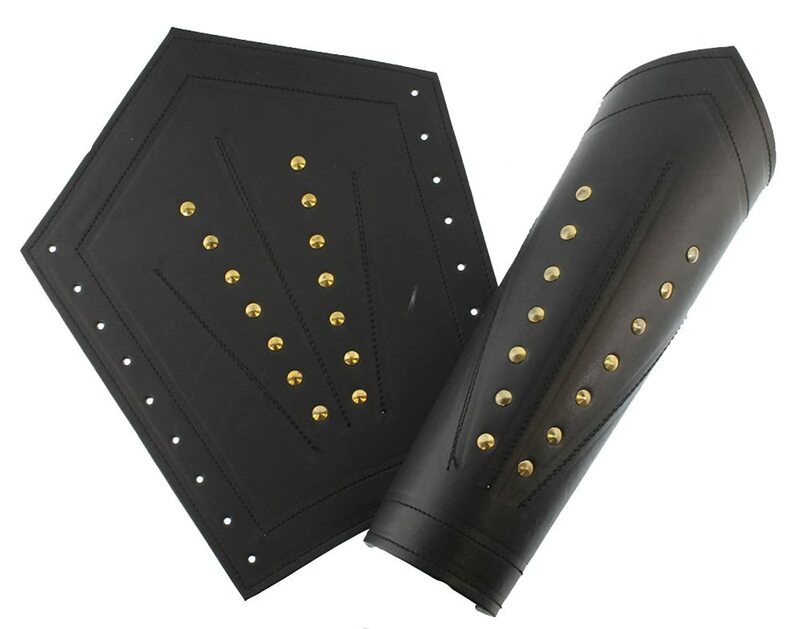 I hope you were able to find the perfect leather accessories to add historical detailing to your Medieval Renaissance cosplay costume event from among the pieces I have chosen to feature here. 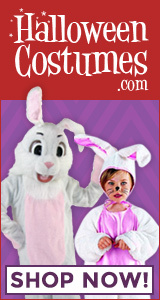 Keep Calm, Have Fun, and Enjoy the Hunt!